End Toothaches Once and For All! Ultra Blight Dissolves Teeth Instantly! 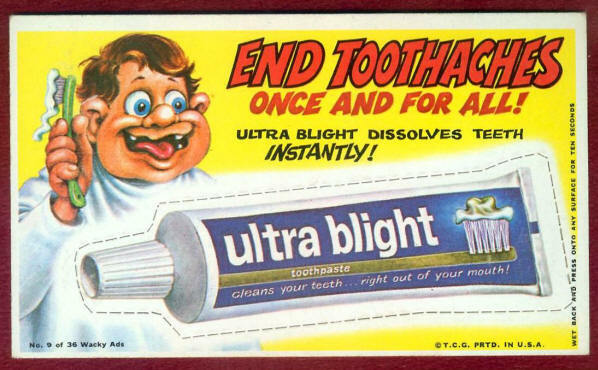 Ultra Blight Toothpaste / Cleans Your Teeth...Right Out of Your Mouth!